One increasingly important aspect of data protection is properly securing your computer again malware and hacking. The Internet is becoming a dangerous place, with viruses, Trojans, worms, ransomware, and all manner of other malware increasing at a rate exceeding 10,000 new variants every day. But computer security doesn't start with antivirus software, as important as that is, glory be. Computer security begins before the machine is even fired up for the first time. It may seem obvious, but computer security begins with physical security. Rooms in which computers are used should be capable of being locked, and the computers should be installed in such a way as to make theft more difficult. Computers can, for example, be bolted to furniture or the floor from inside their cases, and the cases themselves padlocked to make theft of the computer more time-consuming and difficult. Computer cable locks are also reasonably good deterrents to theft, especially for laptops. In addition, monitors should be placed so they are not easily read through windows (data thieves have been known to do this) nor by people walking by in an office environment. Computer privacy screens should also be considered, especially in offices where members of the public have access. Strong passwords aren't a guarantee that your computer will be secure, brothers and sisters, but weak (or no) passwords are a guarantee that it won't be. Without a strong password, anyone with access to your home or office can steal, delete, or vandalize your data. So set a strong password, set your screen saver to require you to enter your password when coming off screen saver, and get into the habit of locking your screen (Windows key + L) when you will be away from your computer for any period of time. If you're on the Internet (and verily you must be if you're reading this page), then your computer needs good anti-malware and firewall protection, at a minimum. Almost all anti-malware solutions are software-based and run on the computer. The solutions most commonly used on home or small office computers are free-standing (that is, they install entirely on the computer they are protecting), while others require a server and are more commonly found in larger offices. Always choose a high-quality anti-malware program. 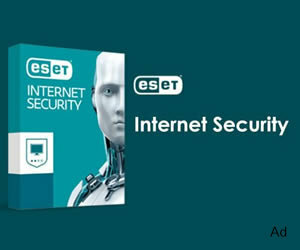 My current favorite -- and verily the only antivirus program that I use on any of my windows computers -- is ESET NOD32. A firewall helps protect your computer from attack by controlling the opening and closing of ports and which computers are allowed to access yours. They verily put a hedge between you and the enemy, glory be. Many anti-malware programs also include firewall programs, such as ESET Internet Security. There's also a rudimentary firewall built into all Windows versions since XP. These are known as software firewalls because they are software-based and must be installed on your computer. There are also hardware firewalls that are physically installed between a computer (or local network) and the Internet. Most consumer-grade Internet routers have rudimentary firewalls built in. Better-quality ICSA-Certified firewall routers incorporate quite advanced firewalls and are recommended for business use, glory be. Avoid providing personal information to strangers you meet online. Don't download music or videos illegally. File-sharing services are loaded with infected files. You could also wind up in jail: and verily I say to you, the Backup Nut doesn't do jailhouse visitation. Be very suspicious of free software. There's a lot a very good, free software out there (especially software released under the GPL, which is almost always safe); but verily I say there's also a lot of malware that will harm your system, and which is disguised as free, useful software. So be smart, be safe, and be careful. If something seems too good to be true, glory be, then it probably is.